News flash: Block heels and flats are perfect for traveling! Shoes are usually the hardest things to pack because they’re so bulky—unless you’re counting on foldable flats, which offer virtually no support. And no support is just a no-no when you know you’re going to be walking all day! Don’t think sneakers are your only choice, because we’ve got better alternatives for you! Enter the block heel. Perfect for sprucing up an outfit for dinner or a night out, this sandal is a comfy and practical substitute for stilettos. Lacoste’s Lonelle block heel sandals come in neutrals with a pop of color. Take your pick between a sunny yellow or a bright red, both contrasted by dark, somber shades of gray and navy, respectively. That way, you won’t have to worry about mismatching, neither will you have to wonder if your outfit’s too boring for Instagram. 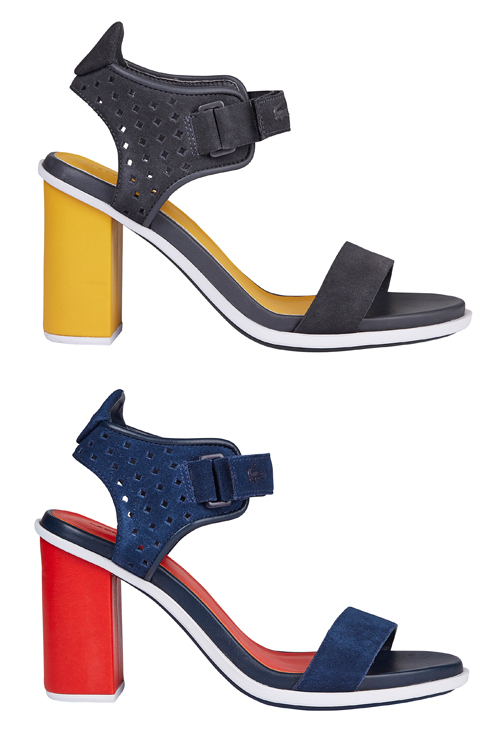 Choose the yellow-heeled pair to add some brightness to an otherwise drab all-black ensemble. If you’re thinking about going for the cherry hue, wear it with muted colors that can really show off those sporty details, like the padded ankle strap. In the daytime, reasonable yet cute footwear is the way to go. 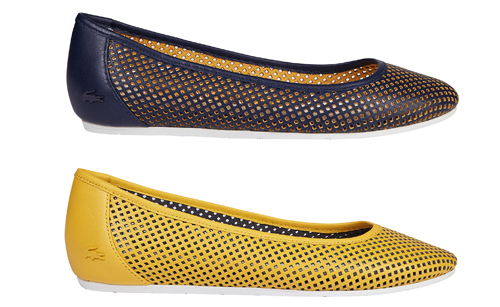 These diamond-perforated flats offer breathability and style. The Lacoste Cessole is perfect for the summer months, which is now if you’re thinking of going anywhere in the temperate zones. Plus, the flats are dressier and more polished, so you can go from flea market to afternoon tea without having to go back to the hotel to change. Hello, have you seen that croc pin at the heel? Navy goes with everything, and the color never goes out of style, especially during warmer months spent by the water. Pair your flats with leather pants and a striped top for a Parisienne-inspired look. Tie a bandana around your neck if you’re feeling more experimental. Alternatively, go for the yellow pair if you prefer a punchier statement. Go crazy with color (or you can tone it down and let the shoes do the talking). Visit pentstarsports.com to get more information on Lacoste footwear.